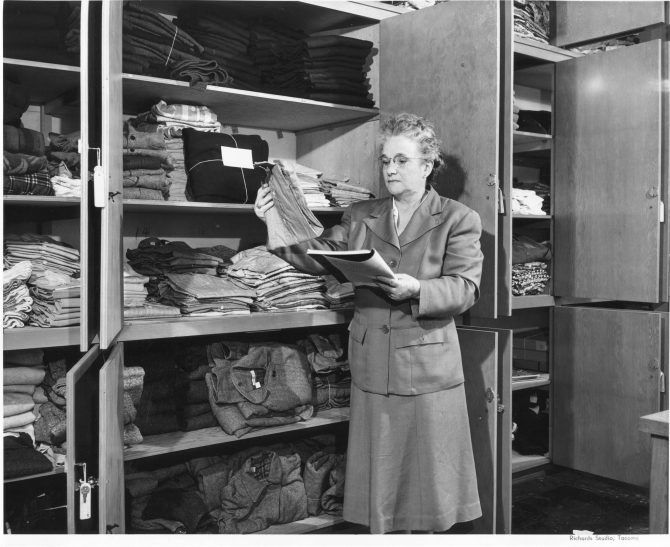 On June 28, 1949 Mrs. Beth Giseburt was pictured taking inventory of the Tacoma/Pierce County Red Cross Chapter's supplies for hospital emergency, home service or disaster relief. The volunteer staff of 30 in the production department, headed by Mrs. Giseburt, worked more than 8,100 hours between September 1948 and June 1949. They planned to be on vacation, however, July and August. 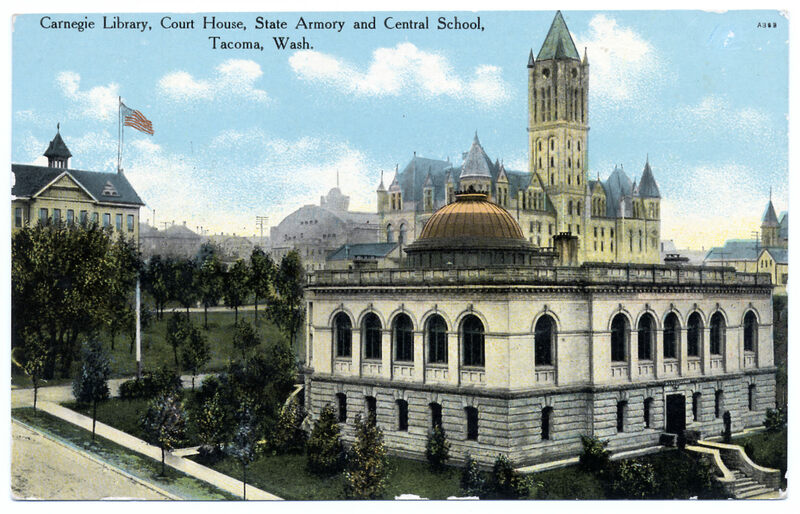 The Red Cross of Tacoma dates to 1898.